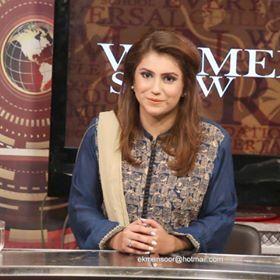 Shaheens of Allama Iqbal is a venture founded by Asra Jamshed, a young achiever and a Shaheen of Iqbal who is engaged in the field of Arts & Entertainment as a TV host at the National Channel of Pakistan. MizLink covered her interview earlier in March 2016 and now received an update on her ongoing journey in life. A. I am engaged in the field of Arts & Entertainment as a a TV host at the National Channel of Pakistan. Q. What makes you a woman of strength? A. The hurdles I have faced in my life and the way I have come over those obstacles to become what i am today. Q. How did you get here and how long have you been in this field? A. I was born in an under-privileged area of Karachi Pakistan. I had to face taunts, disgrace and de-motivation from relatives/friends. In our society is not easy to belong to an under-privileged area. But i was brought up in the hands of highly sensible and educated parents. They told me that the real wealth is knowledge and education. At the age of 16 I decided to acheive something bigger and to serve my country. I laid the foundation of an organization 'Iqbal Kay Shaheen'. I worked self-lessly to empower the youth and to promote the message of peace and harmony - i started to counsel the children of slum areas. At such young age kids play games, young girls dream to look beautiful but I was struggling hard to inspire others and change their lives. I started to conduct sessions on personality developement and criminal mindset changing of young children under the light of Iqbaliyat. 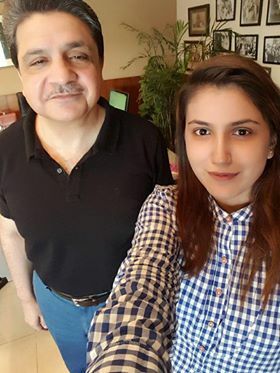 I got connected to the family of the great philosopher Allama Iqbal. And they taught me and guided me as their own child. I was soon called 'The Iqbaliyat encyclopaedia'. I started to participate in debate competitions and soon became a Gold Medalist debater in 2013. But it wasnt as easy as it sounds, I was bashed and threatened by my own people. As I was a 'GIRL' and how could I be working with 'BOYS'? I was not allowed to give interviews to TV channels, Radio stations and even to conduct any session or to speak in conferences. I had been told that the girls are meant to stay at home and do the dishes, cook the food and thats why they were created. My mother supported me and took me out to do 'What I was born to do"!! I remember those stressful nights when I used to cry for hours. My mother ran a school since 25 years for almost 200+ needy students where education and all the expenses were free of cost. At such a young age I worked on the personalities of those students. Being a high school girl it was difficult to do all this alongside my own studies as I used to give tuitions to the younger kids. To raise funds, the amount I earned from tuitions was spent in organizing small events for underprivileged kids. I started to write motivational theatre play scripts and prepared the school kids to participate in them. I was threatened many times to stop my work. But I didnt hold back. I worked more and more to acheive my goal. Organised events ro promote Pakistan and Iran friendship. And in the meanwhile I stepped in my proffession at the age of 21 I joined Radio Pakistan as a presenter and soon joined FM 101 as RJ. And now at the age of 23 I became a TV host at the National Channel of Pakistan. I conduct lectures to masters and phd level students in differnet universities. 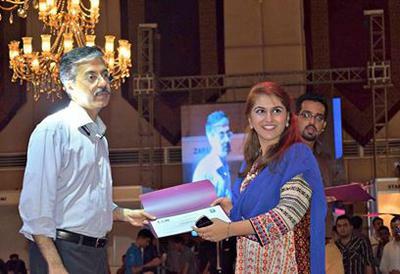 I am representative of youth of Pakistan. And I am proud to share my story. This is all what made today who iam! A. My aim is to serve my country and to do something outstanding for my nation. A. 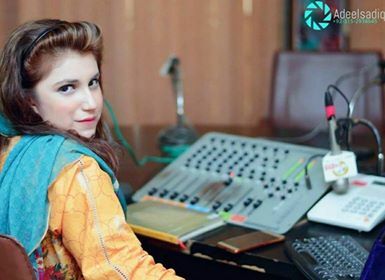 Becoming the host of the National Channel of Pakistan at the age of 23. And making my parents proud. I have thousands of followers and I am thankful to them for recognizing and supporting me. A. My current project is a school for underprivileged kids. And I want to expand this school with more facilities. Q. A word of advice from your experience for women who wish to pursue a career path. A. Be strong! No matter what happens just believe in yourself and follow your dreams. You were born to do something outstanding!